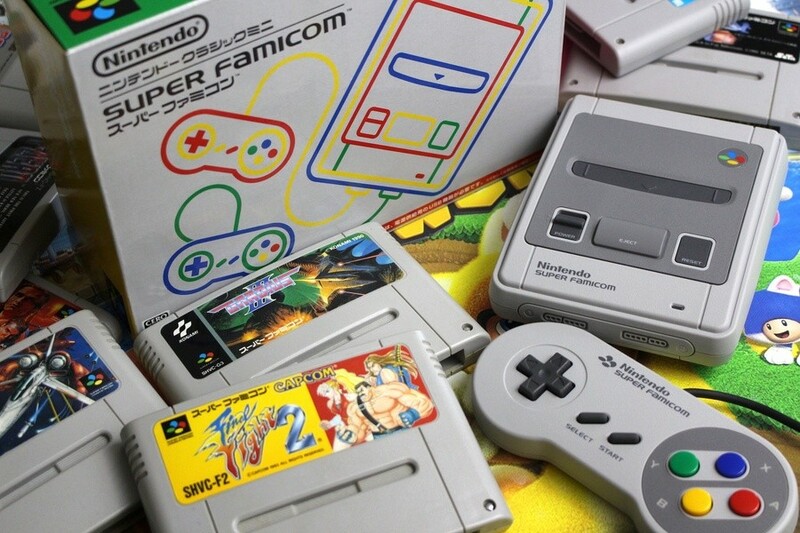 A 39-year-old man located in Japan has been arrested by police for selling modded Super Famicom Classic Mini consoles to three individuals in online net auctions. According to a report by Asahi via Nintendo Soup, the man added a total of five games to each of the modified systems and then resold them for approximately 61,500 yen. One of the games on the systems was reportedly Super Mario Bros.
We hope nobody thinks this offender is related to Nintendo's very own Shigeru Miyamoto, as the man who has now been now been charged for infringing the copyright of Nintendo and four other companies is known as Tomoyuki Miyamoto. Yep, his last name is Miyamoto and he happened to be selling modded Super Famicom Classic Mini. We can't help but wonder what the legendary video game designer and producer Shigeru Miyamoto thought about this. We hope he had a chuckle about it, at least. In Japan, copyright laws go the extra mile to ensure the video game industry isn't exploited. As Nintendo Soup notes, outside of Japan, you likely wouldn't be busted for modding consoles, then again, you could still risk getting in trouble with the law if you were making a profit in certain locations. This story follows on from last week's case when Nintendo was awarded $12 million in a trademark and copyright infringement lawsuit. I am happy to hear that they caught this hardened criminal. I hope those poor video games companies can sleep better tonight. They have my prayers. I'm just curious how they found out. Does Nintendo secretly put cameras into their consoles? Its legal in most countries to mod consoles. Its not legal to add more games in them without licence but its pretty minor offence. I don't think he would get arrested anywhere else (maybe China)..
@Liam_Doolan You know, I read this article twice to see if I missed something before posting. LOl, Glad they arrested him, How can he dare to be called Miyamoto!! Miyamoto is a pretty common Japanese name, though it is still kinda of funny. I modded my SNES mini, so I'll keep it far away from Japan. They both must be related to Musashi Miyamoto of the feudal era. And he used to be such a respected game designer. You either die a hero or live long enough to see yourself become the villain, Mr. Miyamoto. I'm presuming that was the original NES/Famicom version of Super Mario Bros.? The All-Stars version would have made more sense IMO. Miyamoto is kind of a common name in japan. I see it listed in credits of Japanese developed games and shows quite often, and I've even heard characters within games and anime with the name as well. Oof. Only 3 sales and he was arrested. Now that’s strict. Though I mean, the moment he resold them was likely the problem. That or Japan is wicked strict. Do people get busted there just for modding their own system (and not reselling it)? Copyright is important. You can't just take someone else's work and sell it as your own. If you don't understand why, you are either a child, or you slept through your high school level economics and social studies courses. @Heavyarms55 If you don't understand why, you are either a child, or you slept through your high school level economics and social studies courses. Most people didn't need you to preach to us about copyright but for those who don't know, well you were no help to them either. $550? A SNES classic like like $80. Modding a console isn't hard. I assume people in Japan know how to use a computer. @ShadJV The only way to "mod" a classic SNES would be to add games to it, so I'm assuming they are busting him for essentially selling ROMs. @Trajan Actually they largely don't. It's a problem the country's facing economically, a lot of young people don't really know how to work them because due to the limited living space everyone would rather just use smartphones. @goggles789 Actually some people went overboard and installed DOS, Dreamcast emulators, made them into mini IBM PS/2s, etc. Basically a commercially complete raspberry pi. I dont get why you would want to do that to it, but there you have it. There's a reddit group on modding them. They pretty much do everything but play SNES games on them. @Lizuka ah, I didn't know their size restrictions went as far as discarding PCs. I fear the same thing may be happening here, which has far reaching consequences. @Heavyarms55 well, in this case yes. But in other cases copyright has been less then a good thing, such as with the original Captain Marvel being forced into being called Shazam due to all the copyright hassle he's had since the 50s starting which DC claiming he was a superman rip off back when he was owned by Fawcett comics and before Marvel comics even existed. He added only five games for something like six times the price? Even for a counterfeit operation that is a scam! @ShadJV He also added games to the console... wasn't simply a mod. Maybe that was the major issue? Don't sell yours and you'll be fine. @ReaderRagfish Ummm by watching ebay sales maybe??? It's so pointless hacking these closed garden devices when there are 1000's of open platform devices on the market, ranging from PCs, Raspberry Pi's, Android devices, etc, which don't need to be hacked to run emulators/roms. "You can't just take someone else's work and sell it as your own." Glad he got caught. I don't care jmuch about modded consoles, I care about karma doing it's well deserved work on scalpers. Great catch. They saved the whole industry by such an act. Nintendo should sue this guy. Surprised the Miyamoto (the other one) photo of him with his hands up wasn't used for this article, although I can understand there are probably lawyers with defamation suits circling you like sharks. @Heavyarms55 I'm not sure where you live, but "high school level economics and social studies courses" are not part of any high school equivalent default mandatory curriculum in most of the developed world. I also think you don't really understand what's happening here: the guy sold modded consoles, not ROMs. Finally, whoever bought these with such an enormously inflated price must be quite stupid, as you can do the required 'modding' in less than two minutes with little more than an internet connection and a USB cable. Japanese copyright law is clearly even dumber than the Anglo-Saxon one. @Trajan There are other things such as a Raspberry Pi, but there is a much steeper curve to correctly setup a RetroPi than most are willing to do. The NES/SNES mini basically only requires a simple piece of software, resetting the console into a special mode, and clicking a button. I modified mine to allow me to play my Steam purchased Atari Vault, Sega Mega Drive/Genesis Classics, and home-brew stuff (Strangely addicted the simplicity of Ninja Jump currently). I don't have a controller for my Mac and playing them without one is a pain, plus the SNES mini fits in my travel bag better than a second (personal) laptop. Honestly if some of the other collections that have been released shipped with their ROM files accessible, I probably would purchase and load them onto my SNES mini. I don't care that they aren't Nintendo system games, just that they are easily accessible on a micro console that travels easily. Sounds to me like the article stated that he added extra games (ROMS) to the systems and then sold them for a profit. So he did add ROMS of Nintendo, and apparently other companies, and then sold them? Look's like Miyamoto's evil twin Wiyamoto is up to no good again! This is unsurprising. There is little violent crime in Japan so police have to be self rightous to stay relevant. Stealing a bike in Japan is the equivalent of grand theft auto. @lemonjellydude lol Japan won't police China. Hell look at how much the US gov't owes China. I'm surprised he got 3 sales at $550. $150 is usually the price with the whole library modded. Maybe overcharging/scalping was the crime lol. I don't understand why, the games selection on that one is awesome (barring the jarring lack of Super Mario All-Stars, but they most likely wanted the NES Classic not to be upstaged). That said, the guy picked the wrong classic plug-and-play console to mod. @ShadJV Once you buy hardware it is YOURS they cannot stop you from doing what you want with it, but soon as you sell it that is when it becomes a problem, people should know better. When I modded PSP systems I charged like 30$ a pop and made a ton of money, but I only did it in person and upon request. Oh mister Miyamoto, how low you have fallen (joking of course)!